Each & every online merchandiser wants to make his presence in the world of e-commerce. In this era of competition, Magento cart comes just like blessings for all merchandisers who want to achieve successful position in e-commerce. 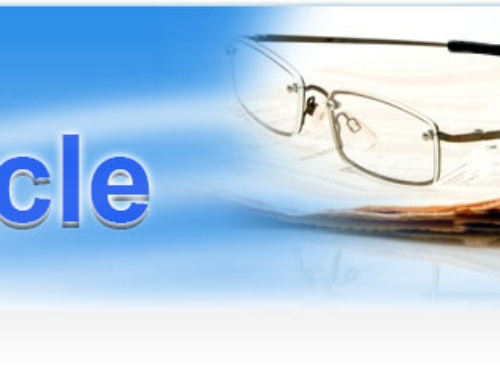 Online store is a internet shop where sale and purchase of services and products is done. Thus, an online store must be easily accessible for all. It must be designed in such a manner that it succeed in attracting maximum traffic to generate profit. Many commodities and schemes are offered by various online stores but may not succeed in their business. Reason for this is that they do not posses user friendly interface and not having easy navigation. However, Magento cart provides simplicity to online customers. Magento cart provide various features which help in attracting the target traffic. Magento cart is feature rich, affordable as well as Magento customization can be done if needed. Its designs are more attention-grabbing, also it has user friendly interface. Multi – store development provide the number one position to Magento among other shopping carts. 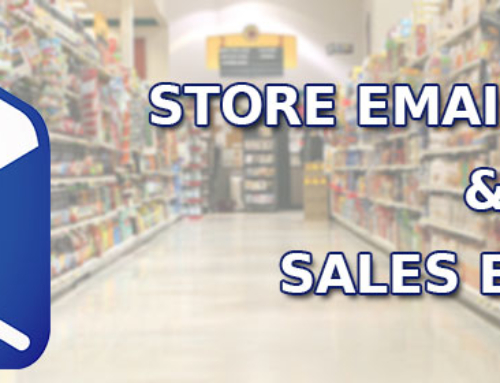 With Magento it is quite easy to manage successfully all multi-stores as also their websites from single admin panel. Magento offers you many options for payment and all this is possible in one page checkout option. It is S.E.O. – friendly hence it assist to achieve top page ranking, in best-selling search engines like Microsoft, Google, etc. With its advanced analysis and reporting feature you can simply come to know about the current trend of sale as also the activities of customers. Due to this feature, Magento based business site gets more quality among user as compared to various other shopping cart websites. The functional interface of Magento cart provide an efficient management for your online store. The site management in Magento is so better that you can manage your multi – stores from single admin panel. Not only this but it can manage all your national as also the international versions of your business website. The process of single-click upgrade in Magento allows smooth upgrades to latest versions of Magento. The pre – packaged integrations and the Web Services API allow it to adjust and fulfill all requirements of your business. It offers you the support for localization. It offers you support for multiple languages and for multiple currencies. It has an ability to share small as well as large information as per your business need. It controls your multiple stores and websites from single Admin Panel. Easy integration between Magento cart and third-party application is provided with the help of Web Services API. There is a functionality of Single-Click Upgrades. For Informational Pages there is a Content Management System. For Multivariate Testing there is an Integration of Google Website Optimizer. It support International markets and U.S markets with flexible management of tax rate. It use hundred percent customizable design templates. This feature includes the functions of creating invoice/receipt,View orders, shipment records as well as issue refunds /Credit Memos for customers. As the administrators can be able to view total histories of orders and also can create orders in the back-end, hence, Customers can re-order their earlier orders from the Customer’s account. From the admin panel you are able to View orders , edit &create the orders and re-orders for customers satisfaction. It allow to create single or multiple invoices, refunds/credit memos per order as well as shipments for full satisfaction of customers. It allow to Print the packing slips and invoices. It includes ability to select existing clients, and to create new clients. This feature includes wish list, compared products list, view shopping cart, last ordered items,and select addresses, assign custom prices, give discounts. All this is done through the order creation by Call Center. For New Orders RSS feed. For each and every order, Email Notifications. Dynamic catalog is managed through self-generated administrative interface. Magento’s API permits integration to make the management of your online business website more cost-efficient. Various product types: Simple, Configurable, Bundled and Grouped Products, Virtual Products, Down loadable or Digital Products. Products can be Personalized by customers. 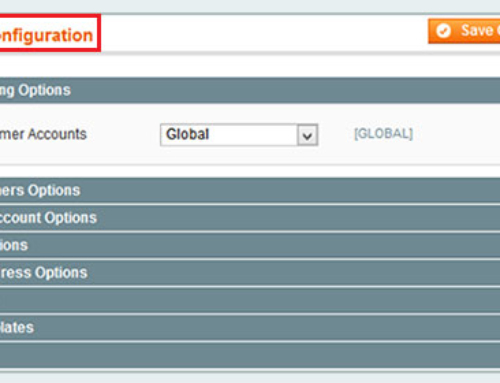 Aggregation in Export of catalog and Import of catalog. Group Updates of products from admin panel. Tax Rates per product type, location, and customer group. Rewrites and Redirects Search Results. Approve, Delete and Edit, Product Reviews and Product Tags. For Low Stock list Alerts RSS feed. It’s flexible rules of pricing modify publicity for increasing transformation charges. Connected with powerful tools like Up-Sells and Cross-Sells. Customer Group- group-specific tier pricing and specific pricing. Recently Compared Items & Viewed Products. In Shopping Cart option for Up-sells. Promotional tools for new items. On product pages option for Cross-sells. Option of Sending the Wish-list to a Friend through RSS or Email. Provide RSS for Fresh Products and Latest Tags. Automatically created website Map & Site Map of Google. Management of Polls & Newsletter. Magento’s flexible front-end model provide extremely functional sites with 100% customization. Features like Product Comparison, Layered Navigation, Reviews and Ratings allow users to find the right products for them. Layered Navigation for separating products in their Categories and their Search Results. Product comparisons, Product Reviews, compared products, Newly prospected products, etc. Product list format, listing in grid. Related Items, Up-sells and Cross-sells. Flexible marketing engine of Magento offers product catalogs to be set up. It supports the business as also the cross-sell and up-sell,which increase ordinary values of order. Reviews of Product, Related Products. Per Product there are multiple images. Zoom-in Capacity of Product Image. Functionality of Add to Wish-list. This feature increases satisfaction of customer with facility of self-service. Customers can access their accounts to receive tracking message immediately from the website and view order status, as well as submit their requests with the help of the function ‘contact us’. This feature provides self service to your consumers, it also offers them to share it with family & friends, ability to save items to a wish-list and view their Reviews, Ratings, & Product Tags. Account Control panel for overview of personal information, recent orders, primary billing address, newsletter subscription status,wish-list, shopping cart, primary shipping address, recent tags, recently ordered items, and recently reviews. Submitted Product Tags & Product Reviews. Default Shipping addresses and Billing. Address Book having capacity of saving unlimited addresses. Order history and Order status. Re-orders can be done from an account. Magento provides internationalization of your online business website. As it is translated in near about 60 languages & multiple currencies. Not only this but it also supports to taxes & payment methods. Ability to define per shipping method with Shipping Destination. Ability to undertake per payment method with Billing Addresses. Magento is coordinated with a miscellaneous payment gateways,and alternative methods of payment from Google, Amazon, PayPal. Customers can pay through check or money order, and additional payment extensions are also available. Configurable to authorize only and charge, or authorize and charge on invoices creations. United with multiple PayPal gateways. Virtual and Physical Gift Cards. Accept Money Orders or checks. Co-ordinated with Amazon Payments, it means Simple Pay & Checkout by Amazon. The Checkout process of Magento makes the user happy and satisfy with Efficient one-page checkout process, Guest Checkout, Alternative payment methods and Ability to mix with variety of payment gateways. There are option to create an account at the beginning of checkout process. The customer can enjoy the Shipping facility to multiple addresses by making one order. For orders support of SSL security for orders on back-end and front-end. Magento Shows the real-time rates of carrier, with assist for account special rates, categorical rates to your consumers. Free shipping deductions are created for order amount. Customers ability to ship items in order for multiple addresses. All this will surly increase sales of gift buys. With mobile-optimized editions you can attract your clients. Mechanically find mobile browsers. Display the mobile-optimized editions. Provide either smaller option of products made-to-order or full site listing for your mobile customers. All this is possible with M-Commerce. Mobile proceedings will develop rapidly in next five years. Magento enables retail merchant and business concern to furnish consumers with a fully multi-channel mobile experience. With the help of this feature of Magento you can attract more traffic towards your business site. Magento cart is SEO friendly. Developed support of SEO, Magento automatically generates Search Engine Friendly URL ‘s. By using its URL Rewrite tool, you can gain control to undertake perfect structure of particular product pages. Magento cart is totally SEO Friendly. It provides Site Map of Google. Give total control of URL’s with the help of URL Rewrites. For categories and products there is a Meta information. For display on site there is a Auto generated Site Map & Popular Search Terms Page. Website Optimizer and Google Analytics allows for advance insight to your online store performance. It also provide an ability to run A or B and Multiple Variable tests. RSS feed for New Orders. Admin Control panel for Overview Reports. Products Report for best-selling and best-view. Abandoned Reports of Shopping Cart. Invoiced and Refunded of Total Sales.